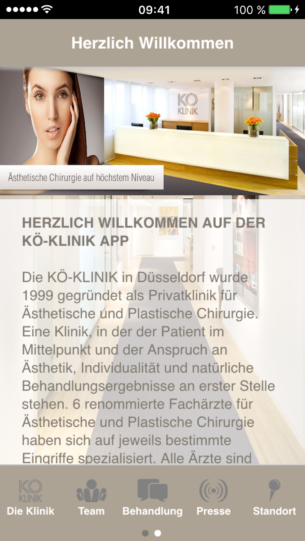 The name “Kö-Klinik” is your direct way to high end cosmetic surgery. 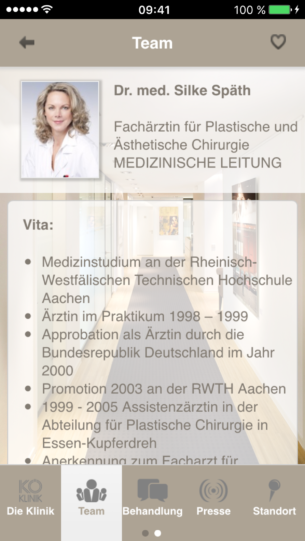 The app will reflect this directly to the users eye. 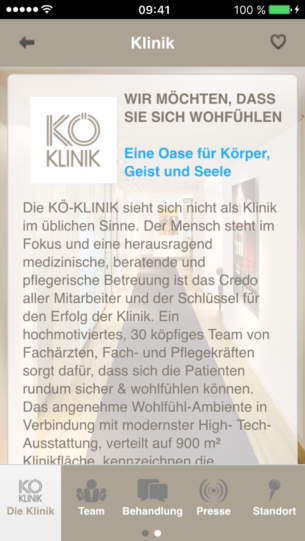 With this app, the patient and his needs are fully maintained and covered. 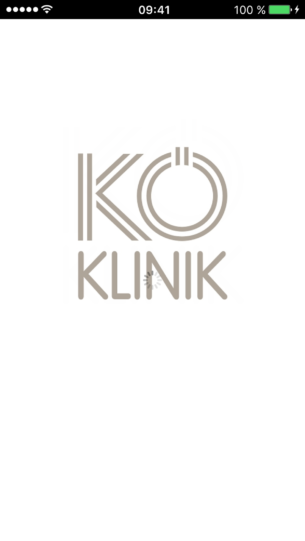 The name “Kö-Klinik” is your direct way to high end cosmetic surgery. 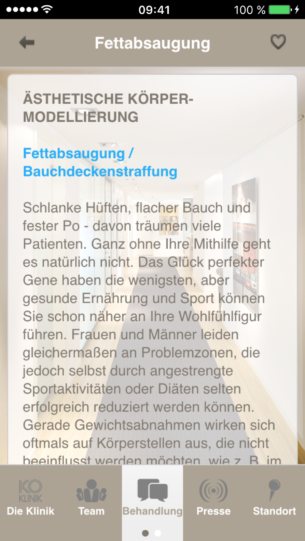 The app will reflect this directly to the users eye. 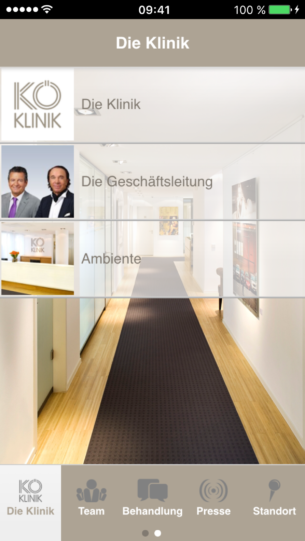 With this app, the patient and his needs are fully maintained and covered. 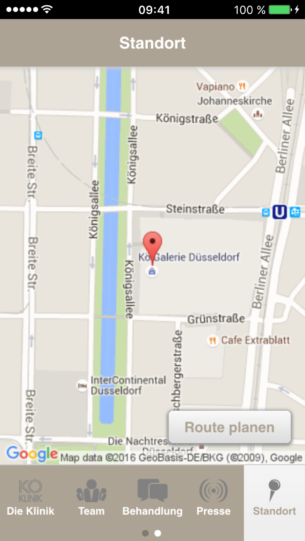 Find quick and easy your direct contact person. 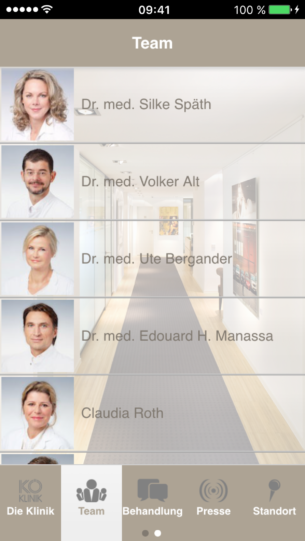 The app will remind you about made schedules and will support with helpful information.